DAYTONA BEACH, Fla. — NASCAR Digital Media entered uncharted territory on Jan. 3, 2013, when it flipped the switch on a brand new digital experience and suite of mobile apps. Now, nearly 11 months and a full NASCAR racing season later, the new digital platform is registering an 11 percent year-over-year increase in monthly unique visitors, highlighted by the platform’s mobile capabilities. "NASCAR has made a concerted effort to leverage technology in everything we do in an attempt to enhance competition and bring fans closer to the sport they love," said Marc Jenkins, vice president of NASCAR Digital Media. "We designed and built our new digital platform with this in mind, utilizing cutting edge technology to enhance the user experience and maximize engagement. In just one year, the numbers reflect that NASCAR’s digital platform has become a destination our fans are able to enjoy regardless of where they are and what device they are using." Furthermore, NASCAR Digital Media’s two new mobile apps, NASCAR Mobile ’13 and NASCAR RaceView Mobile ’13, saw a total of 2.4 million downloads worldwide. • Nearly 60 million total cross-platform video views. With the 2013 season now in the rearview mirror, NASCAR Digital Media has shifted its focus to finding new ways to enhance and optimize the digital platform for 2014. "One of our primary goals in year one was to maximize the fan experience throughout the race weekend, and we believe we made significant strides toward that in 2013," Jenkins said. "Moving forward, we’ll be sharpening our focus on how to further engage and more deeply interact with fans, as well as make content easier to find during the week." 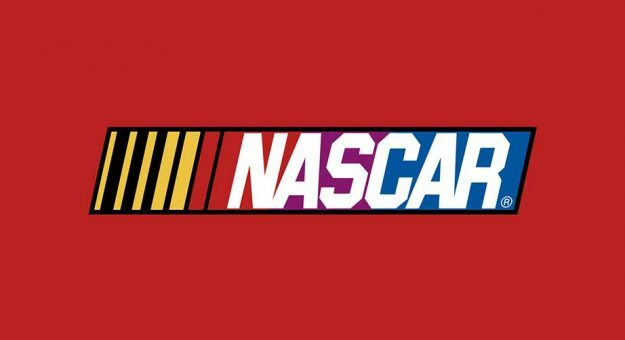 NASCAR.com has already been fitted with a new navigation bar, which houses top news, videos and race information all in one place, allowing fans to more easily find the content they are looking for. In 2013, the News and Media section, located just below the fold on the homepage, will also undergo major changes this offseason. Changes will include a reorganization and reprioritization of the latest and most popular news, stories, social media information, race highlights and short-form video features. In addition to a cleaner look, the News and Media page will group content vertically by sections. Once re-launched, this highly trafficked section will feature a more user-friendly design for easier navigability, allowing for deeper engagement of the very best NASCAR content. Other changes coming before 2014 Speedweeks include an enhanced ‘hero’ (main image and accompanying story link on the homepage), appointment viewing of original content, better interactivity between stories and video and new versions of both mobile apps. The 2014 NASCAR season officially gets underway with the 56th annual Daytona 500 on Sunday, Feb. 23 at Daytona International Speedway. The Great American Race will air live on FOX, Motor Racing Network Radio and SiriusXM NASCAR Radio, with additional coverage on NASCAR.com.